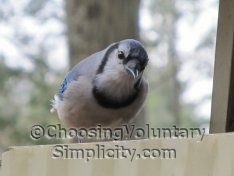 Home » Simple Living / Voluntary Simplicity » How Do Your Living Expenses Compare with the IRS’s Allowable Living Expense National Standards? How do your living expenses compare with these government guidelines? The Allowable Living Expense National Standards come from the Bureau of Labor Statistics Consumer Expenditure Survey and are used by the IRS to help figure affordable repayment structures for delinquent taxes. So how do our expenses compare? Well, we never eat out because of the soy allergy thing, so we have no restaurant or fast food expenses… which is probably offset by the fact that we buy almost entirely organic food now and the fact that living in this part of New England means that food is more expensive than most other places. However, our food costs still fall well within the government guidelines. In all of the other categories we spend far less than the allotted amounts… natural cleaning products, an aversion to chemicals, and avoidance of soy additives can really pay off. The miscellaneous category for us is almost entirely taken up with natural and additive-free cat, dog, parrot, and wild bird food, mandatory vaccines and vet visits, and such… but overall I found the comparison of our expenses to these government standards to be extremely encouraging. Maybe I am reading it wrong, but why no utility bills? Heating fuel? Auto expenses? Health insurance? These expenses seem to be necessary, too. Jo, this chart shows only five of the necessary living expenses. The ones you mentioned… utility bills, heating fuel, auto expenses, health insurance… apparently vary so widely from person to person and area to area that they can’t be generalized into a single chart. Housing expenses, for example, are done by state and by each individual county. Interesting. The breakdown would be a little different for me, but I think I am close to the total for my category. Wow – this is interesting! I’ve always wondered how what we spend on this type of stuff compares to what other people spend. I can see I need to put on the brakes a little in some of the groups. The food category seems low to me, especially since it includes meals eaten out and tips. I realize all of these categories are probably low because the IRS is listing only basic amounts and they would pick the lowest but I think most people probably spend more on food than this figure. I know we do.